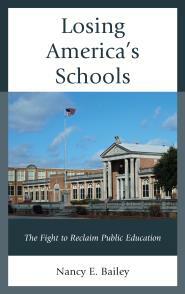 It is interesting that so many titles and posts I write involving school reform have to do with loss. The resource class for students with learning disabilities and sometimes behavioral problems is one more loss when it comes to students and their public schools. Resource classes were designed to help students in elementary, middle and high school by providing more individualized assistance in areas like reading, English, language arts and math. They also provided classes in other subjects, sometimes, especially, at the high school level. Such classes offered an important bridge for students with mild/moderate disabilities to help them get on the right track. Resource class teachers focused on the latest research ideas, learning strategies, accommodations, strengthening weak areas and helping students to adapt to lessons they found difficult. Teachers with special education backgrounds and certification in learning disabilities were uniquely qualified to address areas like dyslexia, reading and math disabilities, gross and fine motor skills, writing, spelling, and hyperactivity. Students with serious reading disabilities often found the resource class a place of refuge. The resource class also helped students pick up the skills they needed to successfully spend the rest of their school day in their mainstreamed general classes. When done right, special education resource teachers collaborated with general education teachers to make sure students did their best in the general classes. Indeed, part of the objective of the resource class was to arm students with the necessary tools to succeed in general classes. Sadly, the resource class for students with learning disabilities is on its way out, if it isn’t already gone. I am always saddened when I hear parents complain that their child with dyslexia or a host of other mild/moderate disabilities can find little in the way of assistance in their public schools. Parents are growing more dissatisfied to find they have fewer services. Resource classes are increasingly a thing of the past. Some parents resort to homeschooling. While this is a parent’s prerogative it can place an extra burden on the family, and there is little research to indicate this is the best approach. I don’t blame parents for homeschooling though–not at all. However, I do believe they and their children are being sorely underserved by their school district. Other parents have sought vouchers to pull their children from public school for placement in private schools. This appears to be something special, but it is no magic wand, and it lends itself to the plans to privatize public schools. In most cases, there is no proof that private schools provide beneficial services to students with disabilities. If they have smaller class sizes, that might be a factor. But there is no research, that I am aware of, indicating private or parochial schools serve students with disabilities well. In fact, when a student leaves public school, they might lose whatever rights they had under the Individuals with Disabilities Education Act (IDEA). Many are angered at Arne Duncan’s rhetoric, and strategy, to dismantle special education. While I am no fan of Duncan, I believe the march to end special education services started a long time ago. Even in the early 1980s, resource class teachers began hearing that their students really didn’t have learning disabilities—that students had difficulties due to bad teachers. While this might have contained a kernel of truth, certainly there will always be poorly trained teachers who don’t perform well, it lacked substance. There are many variables in how a student learns and why a student has difficulty learning. And one could easily ask: did the teacher have trouble reaching the student because of the student’s learning disability? 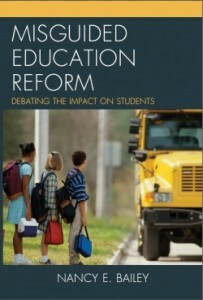 The re-authorizations of PL 94-142, into IDEA 1997 and IDEA 2004, also pushed all students with disabilities into the general education classroom, largely disregarding a student’s individual needs. The general public has been led to believe that inclusion is better for all students. But students still have disabilities and need services that cannot be individualized well in the general classroom. Learning disabilities are also poorly understood. They are not readily identified–often nuanced. For me, that is what makes them fascinating, especially when it comes to how children learn and what can be done to help them learn better. But those who want a one-size-fits-all curriculum can easily say those disabilities do not exist. I believe resource classes are critical to understanding learning disabilities, that they should be led by well-qualified teachers who collaborate with general education teachers, with research backgrounds in best practices. And such teachers should also work closely with parents who can offer additional valuable insight about the individual needs of their children. That is what a great resource class for children, in every public school, should be about. But Duncan and those before him don’t want public schools that utilize research in special education. Special education is too costly in their minds and not worth the effort. For them, less is more. Common Core falls neatly into this mindset, along with rhetoric that says every child can reach X standards by universal practices (technology), and that this will make a perfect group of high school graduates who are college-ready. The use of revolving-door teachers or those prepared on the fast-track will also ease the denial that special education services are necessary. More recently we have heard of Teach for America working with students with disabilities. These for-profit, faux idealists make special education something bad, which, when you think about it, is what we have struggled not to do in this country for decades. When students, who have mild/moderate disabilities that are easily corrected, fail because they had no services, no safety net, where will they wind up? I am sorry about what I perceive to be the demise of the resource class. It is, I’m afraid, a serious casualty of the current school reform movement that will haunt all of us for years to come. A mom called recently and said her son could not efficiently make change but was enrolled in algebra. We are not all the same . Thank you so much, Kathleen. Yes. We are not the same! And isn’t that grand? It should be. I don’t get it. Do we want robotic graduates who are all the same? Thank you so much for this post. The rights of our special needs children are quickly disappearing under standardization as Arne duncan and the USDoE try to tell us that the CCSS and standardized testing can cure disabilities. My students need extra supports to be able to achieve success and one of those main supports is a small classroom environment where I can give them more attention than they would receive in a class of 25 – 40 students. Thank you, Melissa. I am glad to hear of your set-up and that you are able to help your students find success! Very best. My son was in a 90-minute “Resource” block every other day, and it was more like in-school suspension than resource. Far from being “part-time”, it takes away a whole academic block that could be used for a diploma requirements – prompting IEP teams to “manage expectations” of parents and students looking for a rigorous academic track (my son was actively told to switch to a standard diploma instead of an advanced diploma – “you don’t NEED four years of math to graduate”). Scheduling constraints in most high schools make it difficult for the Resource Room to be a drop-in, so for diploma-seeking and/or college-bound students – resource becomes a problem. The article mentions that teachers who staff these rooms are trained in mathematics – the day I visited my son’s room (unannounced) the teacher (also his case manager) was Googling 10th grade Geometry. That was how she was “supporting” the kid needing math help. There was a big jar of candy on her desk, that she pointed out to a couple kids a few times so that they knew they weren’t getting any. The dozen or so kids in there were obviously told they could not socialize, so no talking or looking at each other. They all looked miserable. This was the room my kid was supposed to be learning social skills. My son had a series of driver’s ed tests to take. He did fine on the first group. All open book, in the classroom. Then someone realized he was supposed to be in small group for testing, so they had him take the tests in his resource block. He started failing all of his drivers ed tests. I asked what was going on, and that he kept leaving his book in the classroom, so he didn’t have it to take the test in the resource room (he has executive functioning deficits, so this was to be expected). You know, the room where they are supposed to get the support they need. SERIOUSLY. On top of all that, there is a grade tied to Resource, and one year my son’s failure to make progress on an IEP goal drove his grade down to a D, which then drove his GPA down. He had a goal regarding his planner. Whenever he showed up with it unsigned, he grade lost points. This was an IEP goal, and losing points was never a strategy that the IEP team discussed as something that would work. But the Resource teacher decided that losing grade points would “push him” to get the planner signed. Her own data supported that this strategy did not work, but the irony of that was lost on them. I yanked him out of there as fast as I could, which took some doing. I’m convinced his presence in that classroom helped fund something, because even though he successfully met all the IEP goals that were “serviced” in that area, they fought hard to put it back on the IEP after he had exited from that service. Since being out of the resource room his self-esteem is WAY up and his grades are much better. In theory, these are great rooms. But when you factor in training deficits, too many kids in each of these rooms, diploma requirements, scheduling, etc., they start to lose their shine. Thank you, Kat. I’m sorry your son’s experience wasn’t good. It sounds like your school might have had a block schedule. Such schedules can work but they can also be very long for students. While I stated that resource classes can help with math, math at the hs level can be tricky. The requirements necessary for a regular diploma or a special diploma have always been controversial. Also, sometimes it is difficult to find teachers credentialed in math and special ed. which would be ideal. I think credentials at the hs level should be different…geared toward the subjects teachers will teach with added special ed. techniques to be a polished teacher. I wish your son the very best! I’m glad he is doing well in his class placement now. Thanks! I think the bottom line is that the Resource Room too often becomes the one-size-fits-all solution we try so hard to avoid for our kids. In IEP meetings, it is sold to parents as a place where their child can get subject matter support, work on IEP goals, etc. I’m a believer that so many skills need to be taught in the natural setting. My son, for instance, needed to learn how to get his planner filled out in the classroom. Later, in the Resource Room, the teachable moment was over. I can’t tell you how many teachers have told my son to “go get help with that in Resource” – the assumpion being that because he has an IEP, he must be in Resource. He is not, but a vast majority are. With the right push-in services, much of this can and should be done in the classroom. Placement in the Resource Room needs to be driven by the IEP. In my son’s case, 90 minutes of time was excessive to the IEP goals, and therefore became an LRE issue. I don’t think his case in our school district was unusual, but rather very typical. I think the use of the word “Resource Room” means different things in different places. In the article, I inferred its phrasing of “Resource Class” to be a place where replacement instruction is occurring for math and English instruction. In PA, this must be done by a teacher certified in the content area; the special ed teacher has additional qualifications in that area if they are the sole pull-out teacher for that subject. Students who have gaps/are below grade level need replacement instruction/have IEP goals in this area to make progress on. If you know of any other parents who share your concern, I wonder if a meeting with an administrator or special education supervisor could get the wheels spinning for looking at alternate schedules that would allow access to academic support without forcing students to have to choose between it and an elective that helps them explore and prepare for their transition goals. This program helped me so much in elementary school. As a dyslexic I struggled with reading. My resource teachers were able to focus on us since the classes were small (10 or less). I became a special education teacher to help students like me. What I found was a system overwhelmed by limited resources and under staffed. Teachers are expected to teach multiple subjects to classes as large as 15. I found myself fighting for my students and tilting at windmills. I am currently taking a break from teaching. Not sure if I will ever go back. I love the first part, Billie! You are truly a success story and the fact that you became a teacher in this area is a beautiful testament. The second part of your comment is what so many teachers recognize and struggle with, and it saddens me greatly to hear that it is driving you out of the classroom. I am not sure of your living situation, but I always hope frustrated teachers can search for a better situation and move to that location. If not, I hope you can still be an activist for children. Yours is a powerful message. Thank you for sharing. I am a spec ed teacher in CA. One thing to note is that there is a difference in service models from state to state. I have so much to say I could write my own op-ed but I won’t. I will point out for those who care that we are doing more with nothing. Special education has been grossly underfunded since beroe I became a teacher (16years). The states are left to figure out how to pay for it all on their own. It’s no secret, the Feds mandate, but then provide the states no money. No resources= lack of appropriate resources for kids. I can’t remember the exact figure but it was something like states are only getting 15% of the promised funding but still have to make things happen. I couldn’t agree with you more, Kristie. You used the word “mandate” and when schools can’t follow the mandates due to budget cuts, they are punished. And, of course, the children get the brunt of it. Great comment. Thank you, and hang in there. I think that this comment from Arne Duncan most troubles me: “We know that when students with disabilities are held to high expectations and have access to a robust curriculum, they excel,” Duncan said. How does Arne draw these conclusions? What is his expertise? Not only does Arne have no research to back up his premise, he has no degree in education, educational research or educational psychology. Arne has a B.A. in sociology. Perhaps Arne attended a public school where he had experiences in the public school setting. No, Arne’s early education was at the University of Chicago Lab school. A private school for the elite in Chicago with a tuition of $26,000 a year. I have no doubt that Arne means well but he has never served as an educator in the front lines. .It is like being an M.D. but you have never treated a patient. His comments about children with disabilities are at best naive. While Arne believes that the children with disabilities need only be held to high standards, teachers and parents in the early years celebrate intelligible words, and intentional communication. And that is only the beginning of the robust education that teachers are presenting to children. Those in the trenches know that battle. We fight for our children every day. We fight for resources, we fight for staffing, we fight for appropriate placements. In the program that I work in, we have often said to the staff receiving one of our Early Childhood students, if only we had a video of his first year with us, .he has come so far. Yet when a child leaves Early Childhood, they often need considerable support and continued adaptations and modifications to learn. Arne needs to come to an Early Childhood classroom and spend one week with a teacher to see where the battle ‘begins. . Thank you, Deb. I agree about Duncan. Even though they say he is a nice person, I don’t think he is in the right position. And he should spend more time in real public school classes. Wouldn’t that be refreshing? I do think, however, that he is carrying out an overall plan to eliminate SPED services. I think this all started with the IDEA re-authorizations. It also sounds like you do wonderful work. Very best wishes. The problem, as I have experienced with my son, is that children with disabilties are often steered away from robust coursework. While I don’t agree that it should be mandated, it should also not be denied. A few examples: My son (and many of his peers with IEPs) was told he could not take World History 2, because it was not offered in a inclusion setting. Not taking World History 2 meant he was short a year of history, and could not get an Advanced diploma. So, while the IEP team agreed that he had the capability to earn an Advanced diploma, in practice the way classes were scheduled he was unable to take the courses needed. Instead, they suggested he pursue a Standard diploma (required 3 years of social studies). That was not based on HIS capabilities, but rather on their concerns regarding master schedules and staffing. Same thing happened when he went to take a 3rd year of math. Even though we had been clear that he was college bound, they did not want him to take Algebra 2. I was told “kids like [your son] don’t take Algebra 2”. Hmmm… kids that are college-bound take Algebra 2. I was told he should take that at community college after he graduated high school. When signing up for senior year classes, his guidance counselor kept reminding him that he didn’t “need” to take a 4th year of math to graduate. For all of these reasons, I am happy that Arne Duncan is advocating for kids with disabilities to take robust coursework. My son is not twice-exceptional. He is a kid with autism that has the ability to have earned an Advanced diploma. The logistics, however, got in the way. I fought hard and he took four years of math, but it was a hard fight. He’s now preparing to go to college. It shouldn’t be a fight. Hi Kat, It sounds to me like you had a difficult school situation. Certainly an IEP should bring out the best in a student. I do differ with you on Duncan. I don’t think he is advocating for kids with disabilities but looking not to have services. While your son may not have had a good situation, many parents do want the resource class and a continuum of services. Thank you for sharing. I’m sharing why many parents of special needs kids will end up backing Arne Duncan’s changes. I know I will. I’m sure he’s got his own agenda, but the status quo means my child, and many children like mine, are being held to a lower standard than they can achieve. Perhaps some parents will, Kat. But many others won’t. What will happen to the children who can’t reach the standards like everyone else? There will always be students who will need support. Resource classes can be great to bridge those small gaps that children have with learning disabilities. They don’t have to be the lousy situations you described. . They don’t have to be, but they often are. At the high school level it too often becomes a dumping ground. It would be interesting to find out how many IEP teams round up time in the Resource Room to meet the master schedule (example: the team determines that the child needs 20 minutes of support to meet Goals A, B, and C, but the IEP team writes in “90 minutes” to justify placement in the 90-minute Resource block. They explain to the parents that Johnny will get “more” services, but really the child is missing out on LRE during the balance. The thing we have to remember is that IDEA supports a full continuum of services and placement options–it’s written into the law. That means everything from full integration with no assistance, to integration with consult assistance from a special ed teacher, to integration with itinerant services (which can be pull out or push in), to co-teaching (a special ed and general ed teacher together), to resource room support, to special classes within a school, to specialized schools for short-term or long-term placements . . . and everything in between. The focus is supposed to be on what the child needs AT THIS TIME, and the IEP team is supposed to look at the child’s functioning and determine what supports should be in place. Unfortunately, in many places the array of options has disappeared. Some of this is based on a misunderstanding of “least restrictive environment” which SHOULD be the environment that will best support the child’s learning (which may or may not be the general education classroom). Some of it is financial; small districts in particular have difficulty offering all placement options in all schools. It adds up. though, to children not receiving the best support for their current needs. I hate reading stories like the ones that Kat details above. So much wasted time for Kat’s child, and so much frustration for families! I always tell parents that while IEPs have to be scheduled annually, there’s no reason that they can’t be MORE frequent than that. A parent can request a team meeting and a new IEP, and IEP goals/objectives can be written short term and then re=evaluated at 6 or 8 weeks to see if the interventions are working. If the placement or service isn’t having the desired effect, parents can certainly reconvene the team and discuss the lack of progress, and the evidence that the intervention isn’t working. Passing tests in one setting and failing the tests in another setting is pretty good evidence of where it works and where it doesn’t. It’s too bad when the parents have to be the ones who are monitoring the progress, but as Nancy said, high school is a more difficult setting. Often the student’s teachers don’t have the same planning periods or the same opportunities to discuss a particular student’s progress . . . not to mention the huge number of students most high school teachers see during a day. That’s why the special education teacher needs to work collaboratively with the classroom teachers. I do think that there are special skills required to be a special education teacher for high school students! Whether it’s resource or itinerant services or day classes, the setting and services should match the student’s needs and the whole team needs to be on top of monitoring student progress to prevent a lot of wasted time and effort. Students come first. I agree. In our case, we met on multiple occasions over the course of each year. Inclusion is not a place, but the Resource Room becomes the “place” and too many teams forget or, in our case, refuse to try other options that provide LRE. In the case of my kid, we happen to go to a huge school district, so options should have been available. But once they make inclusion a place, it’s not easy to get them out of that mindset.